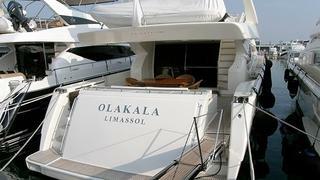 A call to Vangelis Filiadis at Cape4 Yachting brings news that he's sold the 24.05m motor yacht Olakala in a direct deal. Built by Ferretti in 2009, Olakala sleeps eight guests in four staterooms and twin 1659hp MTU engines give her a cruising speed of 24 knots. Olakala was asking €2.2 million.